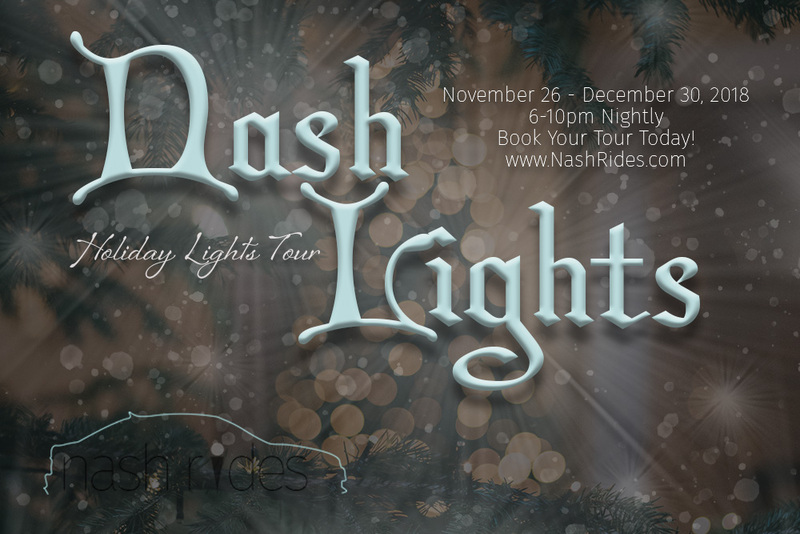 Nash Rides announces their first annual NASH LIGHTS – Holiday Lights Tour! NASH LIGHTS is a majestic way to experience Nashville during the holiday season! Enjoy the best residential and commercial seasonal lighting displays in Middle TN! Choose your theme – Family, Date Night, Tacky Christmas or Party Time. Listen to holiday music or sing along as you experience Nashville’s holiday lights tradition. Sip on hot cider, hot chocolate or egg nog and indulge in holiday cookies while you view Nashville’s most extravagant Christmas lights displays. This entry was posted in Ads and tagged brentwood, chad's winter wonderland, christmas, christmas in nashville, christmas lights, christmas lights nashville, christmas lights tour, christmas tree, date night, franklin, holiday, holiday lights, holiday lights tour, holidays, lights on luna, nash lights, nash rides, nashville, nashville christmas events, nashville christmas lights tour, nashville concert, nashville holiday lights tour, opryland holtel. Bookmark the permalink.